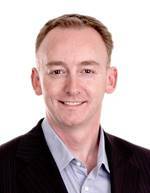 Simon Buckingham is Director of Results Mentoring and a highly experienced investor. Simon has been investing in property for over 15 years using a broad range of strategies including positive cash flow, renovations, property development and commercial properties, both within Australia and overseas. Holding university degrees in Commerce and Law, and with over 10 years' experience as a business consultant, Simon turned his back on corporate life forever following the births of his two children and now spends his time investing, developing property, supporting multiple charities, and building businesses - while teaching others how they can do the same. He has personally coached hundreds of investors in techniques that can be used to profit from property in any market conditions, regularly facilitates public workshops and provides other free resources for property investors through ResultsMentoring.com, and has presented to thousands of people at property conferences and seminars around Australia and New Zealand. Simon writes the highly regarded Sophisticated Property Investor e-newsletter and his opinions on the property market and real-world investing strategies have featured in Your Investment Property magazine, Smart Property Investment, Channel7 News at 6, Kevin Turner's Real Estate Talk, and Property Observer. He is co-author of the critically acclaimed property book The Real Deal: Property Invest Your Way to Financial Freedom, and a founding Mentor in Australia's award-winning personal mentoring service for property investors: the RESULTS Mentoring Program. Is borrowing about to get easier? Do Rising Interest Rates Cause Property Prices to Fall? "Are property prices about to PLUNGE by 40-45 percent?" How Will the Royal Commission Impact Property Investors?